The Florida Republican traces his family’s origins to Spain in the popular PBS series. Sen. Marco Rubio, R-Fla., appears on an episode of PBS' "Finding Your Roots." Screenshot courtesy of PBS. Sen. Marco Rubio isn’t the first in his family to graduate law school. Or to enter public service. It turns out Rubio’s third great grandfather, Jose de Reina y Tosta of Seville, graduated from the University of Granada with a law degree in 1786 — 210 years before Rubio earned his J.D. from University of Miami. The surprising piece of the Florida Republican’s family lineage was discovered by genealogists for “Finding Your Roots,” a PBS program where celebrities, high-profile business executives, politicians and other public figures confront their ancestries. Their histories are plotted through "cutting-edge DNA analysis and old school genealogical detective work,” according to the show. Rubio’s backstory was traced back to Spain, the origin of many Cubans. “You thought you were the first lawyer,” show host Henry Louis Gates said. Gates then reveals that de Reina y Tosta went on to become a public prosecutor in Seville. “It’s the first time I read anywhere that anybody in my family had anything to do with government up until me," Rubio said. 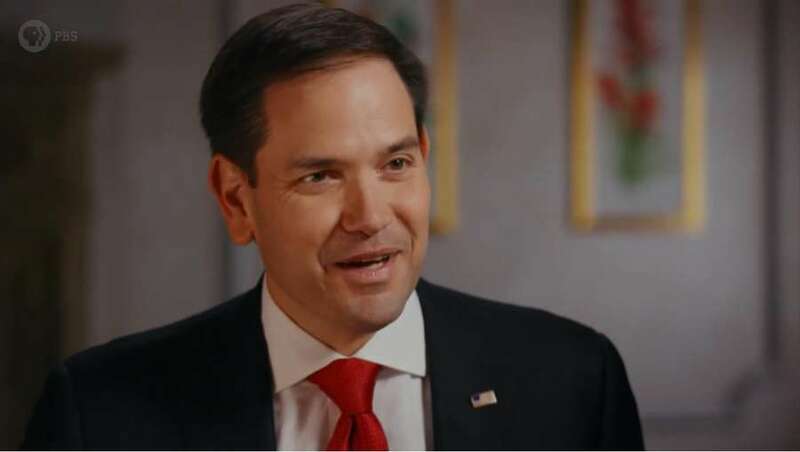 The episode of “Finding Your Roots” featuring Rubio will air on Tuesday at 8 p.m. and will also include Democratic presidential candidate Rep. Tulsi Gabbard and former House Speaker Paul Ryan. The shows fifth season will feature actors Marisa Tomei and Andy Samberg, Facebook executive Sheryl Sandberg, former NFL star Michael Strahan, filmmaker Michael Moore and comedian Tig Notaro. Watch a clip of the episode below.